You need to make a website so the question is do you need a web developer or a website designer? Some people are probably going what do you mean, are they not the same thing? No, they are not. One is a professional at building websites (coding and stuff), the other is a professional at designing websites (photoshop and stuff). Yes, it is possible to find one person with skills in both fields BUT it is very rare to find anyone who is a professional at both. They are very different skill sets. A web developer is someone who builds websites, it is the person who puts all the necessary files online to create your website. There is more to it, websites are not static things anymore. I will refer directly to WordPress web development now but it applies to all web development today. From there your web developer will add functionality that you need (newsletter, e-shop etc) and content like home, about us and contact us. So as you can see it is all quite technical in nature. A Website designer is usually very proficient in Photoshop or something similar. They are the people who conceptualize websites. They will take your logo (or design one for you) and put it into a website design. They will choose complimentary fonts to use, their sizes and colours. They will source and size the images you need for your website. Website designers are very creative people who can take your website ideas and needs, and actually turn them into something visual. A clear plan for your website. Note from personal experience: Really good developers are pretty good designers and really good designers are pretty good developers too. Do you need a web developer or a web designer? If you have been paying attention so far, you would already know that ideally you need both. Both is more expensive, that is obvious and true. But your end product will show that you went to the extra expense. Yes, you can cut some corners. For example, if your site requires something technical, like an e-shop, you will need a web developer. So you could get a designer to only design your homepage (not the entire website). Then get a great web developer (like us) capable of carrying that same style through to the rest of the website you want/need. 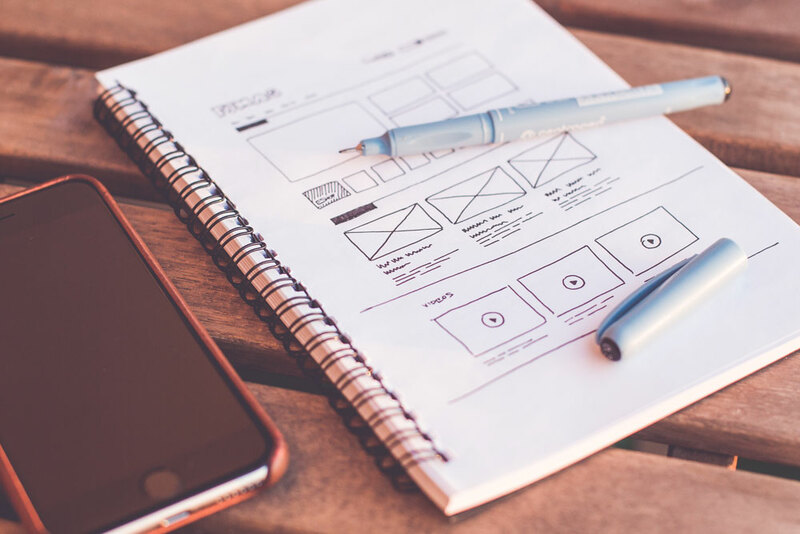 Or, if your site does not require anything fancy but rather needs to be visually appealing, then find a great designer who knows how to build websites too. And the next question is who is going to write all the content that is needed? That person is called a “copy writer”. Copy writer, do I need one? A copy writer is a professional wordsmith. They are really adept at creating text that is both correct, accurate and emotive. It takes a real creative talent to be a copy writer. But you are thinking “no-one knows my product like I do”…and you are right! So to start with, you ARE going to have to write all the website content you want. Is your writing good enough for your website or do you need a copy writer to re-work your words? Again, going to the expense of paying a professional to do this for you, is going to show in the final product. Some business owners are capable of writing about their product or have marketing people who are capable. You will have to decide for yourself if (a) your writing is good enough for your website or (b) you can afford a copy writer to re-work it? In my opinion, your website should cost whatever you have budgeted for your website! If you want to know about website cost, please see our previous post on the topic. The short version is this: decide how much you want to spend. Then decide how to allocate it. Or for example: your want beautiful photo galleries and simple text content. And you have R 50 000 to spend. You get quotes from designers that come in at 25 to 30 thousand. (But one designer will design and build it for R 45 000). Now you need to see if you can find a developer that will do someone else’s design for under R 20 000 (and forgo a copy writer). Or use the multi-talented designer and find a R 5000 copy writer. Digital agencies are companies that will hire copy writers, web designers and web developers. So these are the kind of companies that provide the full package of these services. Do you need/want a digital agency or should use freelancers? A digital agency is going to get a team of professionals to work on your website and will produce a great product at the end of the day. But being a company they have certain overhead cost which pushes up the price of your website. The big advantage is that one person will be assigned to your account and that is the only person you need to deal with (no people management required). Using freelancers is going to take more of your time as you will have to deal with each one individually. But freelancers do not have to overheads of big companies so they can produce a quality product at a lower price (usually). The drawback is you have to deal with a bunch of people. Speak to us and you will be using freelancers for everything but only speaking to Doug Hoseck (author of this article and person behind this website and web developer of note). I have local freelance designers and copy writers that work with me. Fill in the form below to start the conversation with Doug.